We are always interested in improving our patients’ experience with our Practice. Click on an icon in the grid below to review us online. We welcome your feedback and appreciate your time in helping us find new ways to make our patient services exceed your expectations! How do I know which sunwear lenses absorb UV rays the most? Generally, most sunwear lenses will absorb UV lenses to some degree. Lenses that are marked CR-39R plastic, absorb about 88 percent of UV light. 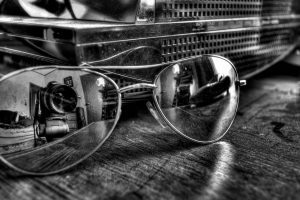 If sunglasses contain polycarbonate lenses, UV absorption will be 100 percent. Is there a difference between a cheap pair of regular sunglasses versus designer sunglasses? Sobel Eyecare serves patients from northern Detroit, including Southfield, Oak Park, Beverly Hills, Birmingham, Lathrup Village and surrounding areas. 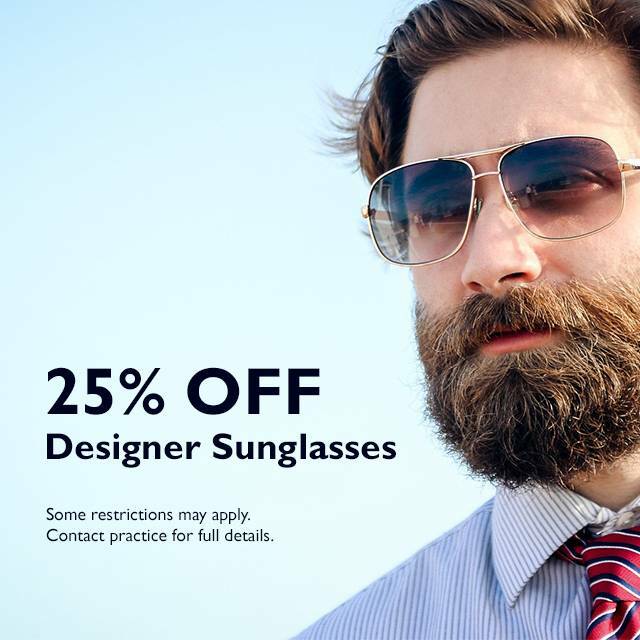 25% OFF ON DESIGNER SUNGLASSES Click here to Save! Click here to view the Printable version.